New ideas, new dance…with Cristina, Monika and Bobby in Madrid. 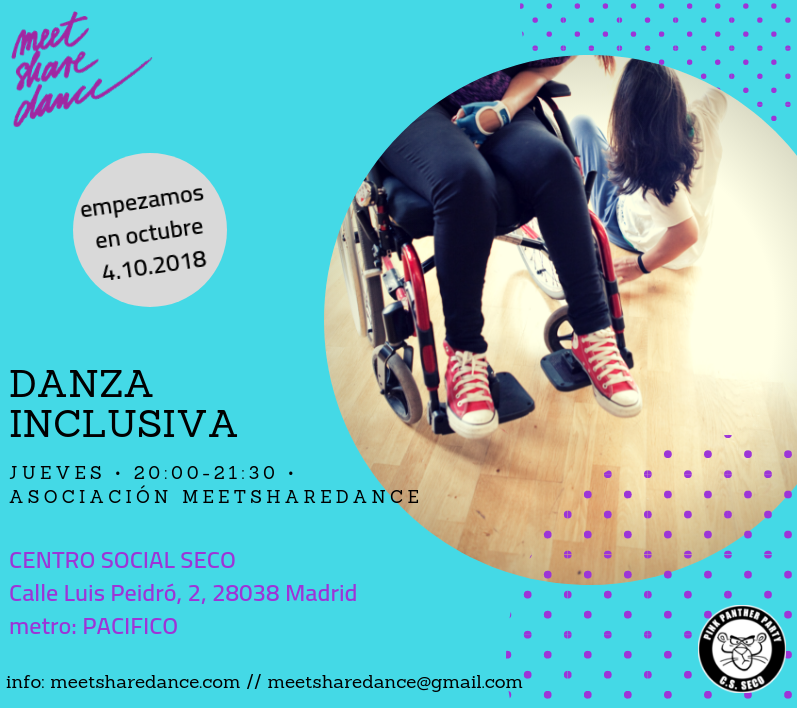 This entry was posted in Dance News and tagged danza inclusiva, inclusive dance, madrid, meet share dance. Some photos and video from our four days of classes and the street dance performance. This entry was posted in 2012 - Madrid and tagged dancer with and without disabilites, danza discapacidad, disability and dance, disability arts, disability dance, madrid, madrid dance disability, madrid danza, madrid danza discapacidad, meet share dance, meetsharedance, street dance, wheel chair dance.